If we're secret BFFs via While They Snooze on Facebook then you might know the walls are up at the new house. 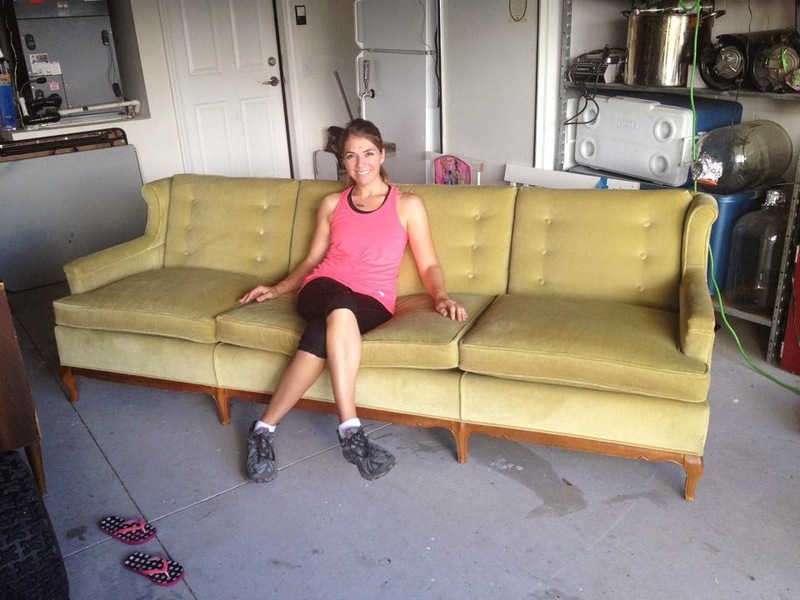 And ever since I've been able to physically walk around in my shell of a house, I've been planning what furniture will fit where– including my $100 thrifted gem of a couch. The thing is, I love color. And, well, this lovely shade of yellow beige isn't exactly doing it for me. So I had/have plans to completely reupholster the thing in navy blue velvet. Yes, one giant blue couch. 75% of me thinks it's going to be gorgeous. The other 25% is scared people. I'm scared. What if I get sick of it? What if my tastes change? What if blue suddenly turns into the hunter green and mauve of the 80's and in 5 years my living room looks like a scene from Family Ties?? I just don't know! Just in case, I'm considering a plan B: Incorporating the saturated colors I love through decor and accessories and leaving the large pieces neutral. (Wimp) I know. But I think it could be awesome. I love the jewel tones of Indian clothing. My entire wedding was actually inspired by Indian sari's. It was bright green and hot pink... just ask my bridesmaids. I'm pretty sure those dresses never got worn again. 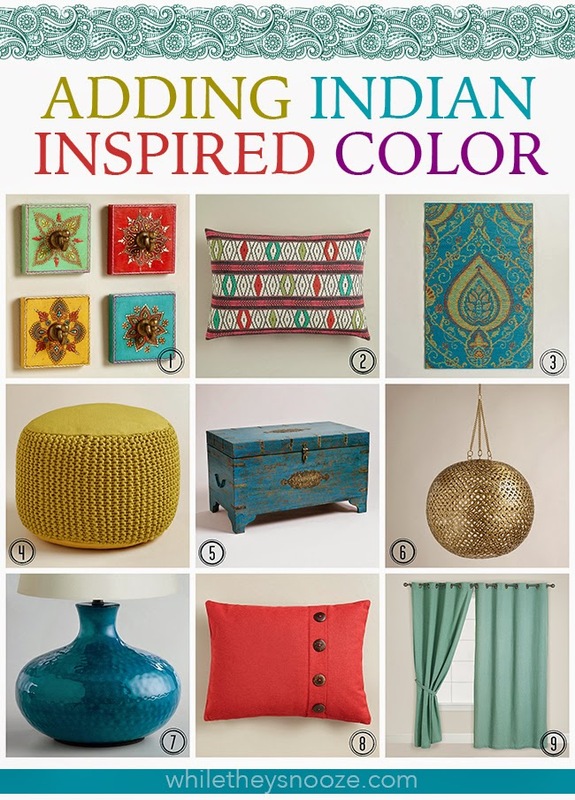 :) I think I can pull the same thing off with Indian decor in my home without overwhelming the entire space (or my husband). A few weeks back when I was shopping the International Food section at World Market for my Oscars party, I may have eyed some of the Indian-made items above. That geometric pillow at the top has my name all over it. Love it. I think even with the yellow-beige couch I could pull off the warm, jewel-toned look I have in my head. What do you think? Am I crazy? Need some inspiration? I've got that, AND a contest for you. 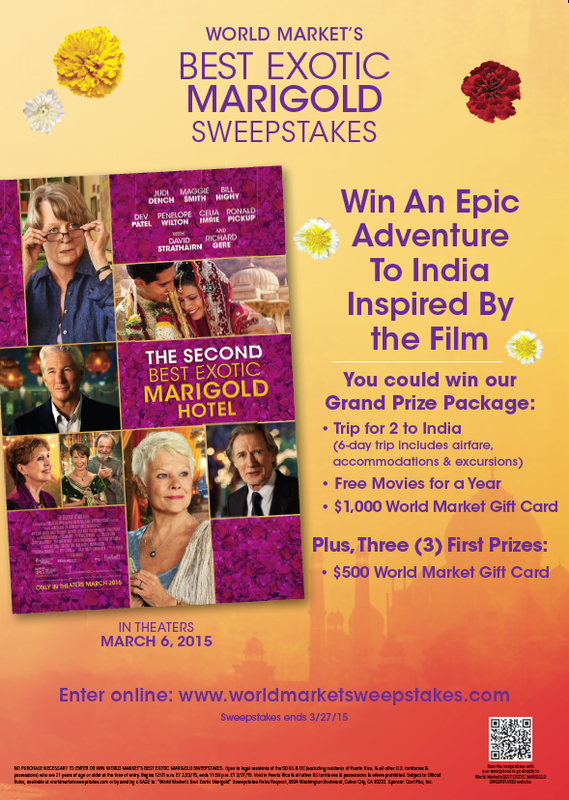 The Second Best Exotic Marigold Hotel is in theaters now. 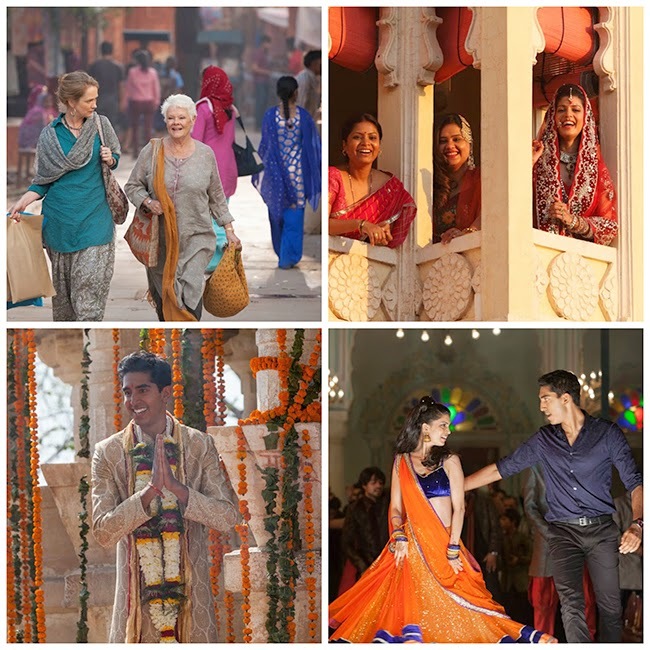 It follows Sonny and his dream of opening a second hotel while planning a traditional Indian wedding to the love of his life Sunaina. The imagery is vibrant and warm and exactly what I'm hoping to translate into my home.